Cisco Catalyst 2960-L Series Switches, the new member in the Catalyst - Network Devices Inc. The leader in the network industry, Cisco Systems, is proud because of the great switches it is producing, especially with the Catalyst family, which is a flagship in the switching field, and one of the oldest and most known switching platforms in the world. Today this family of switches is getting even better with the joining of the new member, the Cisco Catalyst 2960-L. The header of the Cisco Catalyst 2960-L product page in the Cisco website is: Get a next-generation switch at a great value, and in our opinion, this sentence is short yet represents a very good description about this interesting series, so why did Cisco release this series? And why are they considering it as a next-generation switch? First of all, the main purpose of this series is to fill the gap between the family’s smallest member, the 2960-X, which is an enterprise-graded switch, and the Small Business family of switches. Someone may mention the 2960-Plus switches, but those switches are Fast Ethernet switches and it is out of the equation anyway. So the new Cisco Catalyst 2960-L series switches can be considered the younger brother of the 2960-X series, this younger member can better fit customers who seek an L2 enterprise-grade switch but with a limited budget. So here is the important question, are they just smaller and cheaper switches with humble capabilities? Or are they really next-generation switches? Network Management: The Cisco Catalyst 2960-L Series Switches offer a superior CLI for detailed configuration and administration. The switches are also supported by the full range of Cisco network management solutions, including Cisco DNA Center which is the central point of management in Cisco Digital Network Architecture DNA, Cisco Prime Infrastructure and Cisco Network Plug and Play, which is supported using the Cisco Application Policy Infrastructure Enterprise Module (APIC-EM) and DNA Center on Cisco Catalyst 2960-L Series Switches. This provides a simple, secure, unified, and integrated offering for enterprise network customers to ease new branch or campus device rollouts or for provisioning updates to an existing network with a near zero-touch deployment experience. Virtual Stacking: Which enables the administrators to manage a group of switches as a single entity. Up to eight switches can be configured and managed using a single IP address. Switches in a virtual stack can be configured from a single switch, which is called the commander switch. All the switches in a virtual stack can be managed using the CLI, SNMP, or the web UI. Switches in the virtual stack can also be configured and managed over the air via Bluetooth from a commander switch using the web UI. Virtual stacking also offers redundancy wherein a standby commander can manage and configure the stack if the primary master fails. Intelligent PoE+: Cisco Catalyst 2960-L Switches support both IEEE 802.3af PoE and IEEE 802.3at PoE+ (up to 30W per port) to deliver a lower total cost of ownership for deployments that incorporate Cisco IP phones, Cisco Aironet wireless access points, or other standards-compliant PoE and PoE+ end devices. In those switches the PoE power allocation is dynamic, and power mapping scales up to a maximum of 370W of PoE+ power. Intelligent power management allows flexible power allocation across all ports. With Perpetual PoE, the PoE+ power is maintained during a switch reload. This is important for critical endpoints such as medical devices and for the Internet of Things IoT endpoints such as PoE-powered lights so that there is no disruption during a switch reboot. Network Security: Cisco Catalyst 2960-L Switches provide a range of security features to limit access to the network and mitigate threats, including Comprehensive 802.1Xfeatures to control access to the network, including flexible authentication, 802.1X monitor mode, RADIUS change of authorization, and Multidomain authentication, which allows an IP phone and a PC to authenticate on the same switch port while being placed on appropriate voice and data VLANs. Those switches also support IEEE 802.1x User Distribution which enables the network to load-balance users with the same group name across multiple different VLANs.In addition to those 802.1X related features, Cisco Catalyst 2960-L switches offer enterprise-class security features such as AAA command authorization in plug-and-play (PnP) to enable seamless PnP provisioning, TACACS+ and RADIUS authentication, Web Authentication redirection, MAC authentication bypass and Webauth with downloadable ACLs. All those features can assure a very secure and robust network. Bluetooth connection: For over-the-air access. The switches support an external Bluetooth dongle that plugs into the USB port on the switch and allows a Bluetooth-based RF connection with external laptops and tablets. Laptops and tablets can access the switch CLI using a Telnet or Secure Shell (SSH) client over Bluetooth. The GUI can be accessed over Bluetooth with a browser. Basic Layer 3 Features: Despite the fact that this switch is considered as a Layer 2 switch, it can offer some Layer 3 features such as static routing and RIP for both IPv4 and IPv6 protocols. Redundancy and Resiliency: Including switch-port auto recovery (error disable) which automatically attempts to reactivate a link that is disabled because of a network error, Link-State Tracking which binds the link state of multiple interfaces, so When the link is lost on the primary interface, network connectivity is transparently changed to the secondary interface. Enhanced QoS features: Which offer intelligent traffic management that keeps everything flowing smoothly. Flexible mechanisms for marking, classifying, and scheduling deliver superior performance for data, voice, and video traffic, all at wire speed. Primary QoS features include up to eight egress queues and two thresholds per port, ingress policing, trust boundary, Shaped Round Robin (SRR) scheduling, Weighted Tail Drop (WTD) congestion avoidance, and Auto-QoS which simplifies the deployment of QoS features. Warranty: Cisco Catalyst 2960-L Switches come with an Enhanced Limited Lifetime Warranty (E-LLW). 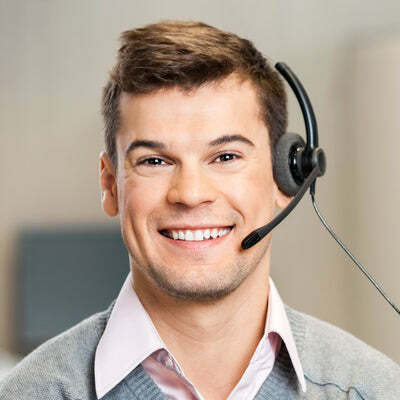 The E-LLW provides the same terms as the Cisco standard limited lifetime warranty but adds next-business-day delivery of replacement hardware, where available, and 90 days of 8x5 Cisco Technical Assistance Center (TAC) support. Finally, this series of switches include a lot of models to fit the different needs of the different customers, including 8/16/24/48 ports models, fanless models and PoE, and PoE+ models. We recommend you visit our Catalyst 2960-L series product page to see the available models.